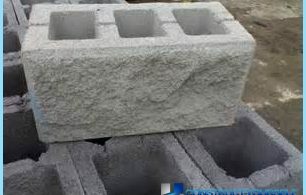 Concrete - a special bonding materialvarious types of construction works. Thanks to its compact design, it can be used for the construction of the foundation, the creation of stairs and walkways, construction of walls and roofs of various buildings. 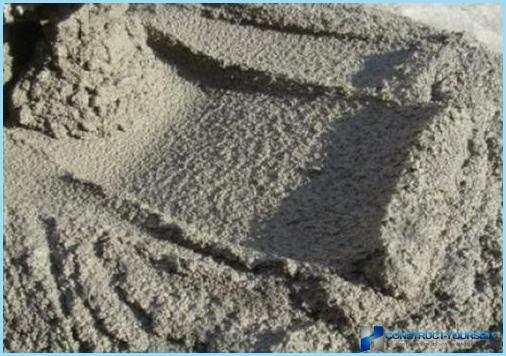 Modern concrete mixing technologyallow us to consider this material a high natural material, without which it is difficult to manage in terms of small household and industrial-scale buildings. Many are often faced with problems on theconstruction and operation of such a mixture, the composition obtained is why dry and cracked quickly dries, and can create a concrete formulation was not so correct and accurate? Let's try to tell you about all the intricacies of this business-wise. Thus, the concrete - a grout that contains several excipients. The structure of special plasticizers are thatimpart unique properties of the concrete bonding to other materials. And the most simple ordinary water, which should not contain any impurities and alkaline acids. It is important to observe the correct proportions of all the components to rub on the eye fillers and pour water from the slag is not recommended. We make a preliminary calculation of building materials. Water, the exact number is difficult to say, as long as the mixture is liquid and no dry lumps. Concrete solution can knead by hand or using a mixer, carefully mixing the dry ingredients all lumps. 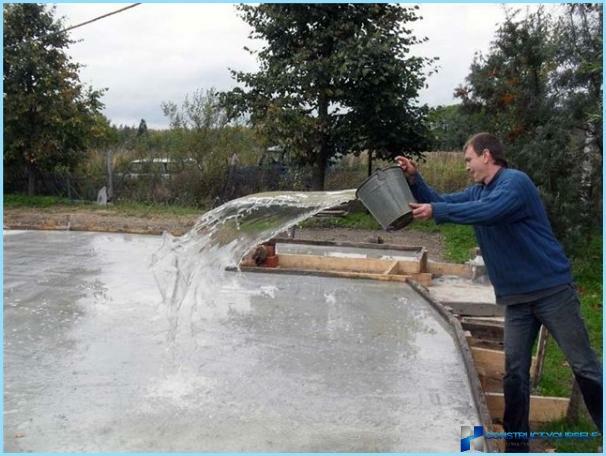 A warning: with concrete need not be carried out at temperatures below 16 degrees! A few tips on choosing materials to create concrete. The main strength of the concrete provide gravel and crushed stone, stone size should not exceed 30 mm. Plasticizers are needed for a more compact filling gaps in the concrete masonry, to fill the voids and branches. In some cases added to the solution of auxiliary components to provide the setting and hardening of concrete. Warning: study on the application of these components of instruction. Mixing concrete mixture a special machine should last no more than 10 minutes to not cement has started to set. manually mixing the ingredients is not Variantvery good. There is no guarantee that all the particles are properly soluble in water and create the necessary structural mass. Perhaps the appearance will not be affected, but the result may turn out poor quality. It is best to rent a mixer and do the work once and correctly. The water poured add dry ingredients alternately. According to numerous reviews builders, the second option is much better than the first, the main batch to do small portions and alternately. 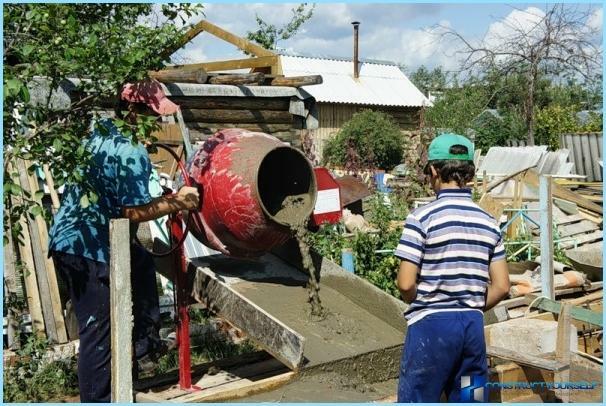 Make concrete with their hands, and create high-quality building construction.